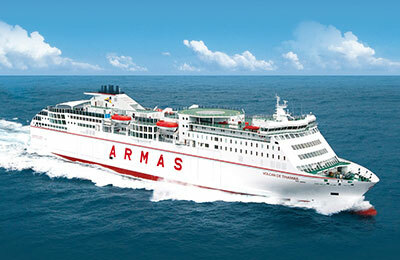 You can use AFerry to book a Naviera Armas ferry to Spain, Canary Islands and Morocco. Naviera Armas operates one of the most modern fleets of Europe. AFerry always has cheap prices for Naviera Armas and the latest special offers. You can use AFerry to book Naviera Armas ferries to Al Hoceima, Huelva, Las Palmas de Gran Canaria, Nador, Tenerife and others. See below for the latest Naviera Armas prices and sailing times. Click on your ferry route for a detailed timetable. Las Palmas de G.C. to Morro Jable / Morro Jable to Las Palmas de G.C. Las Palmas de G.C. to Puerto Rosario / Puerto Rosario to Las Palmas de G.C. Las Palmas de G.C. to La Palma / La Palma to Las Palmas de G.C. Las Palmas de G.C. to Santa Cruz de Tenerife / Santa Cruz de Tenerife to Las Palmas de G.C. Naviera Armas was established in 1941 and has become the largest shipping company in the Canaries. 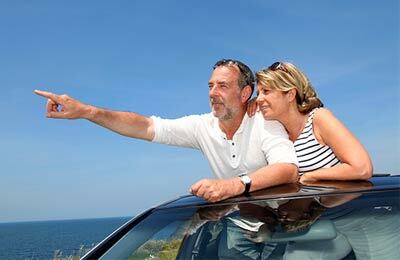 It now operates a modern fleet of more than fifty ships along its various routes. All of its vessels are named after the volcanoes that formed the Canary Islands. For example, the Volcán de Tijarafe which has 56 cabins, can carry 1000 passengers and 300 cars and has a maximum of speed 24.5 knots. 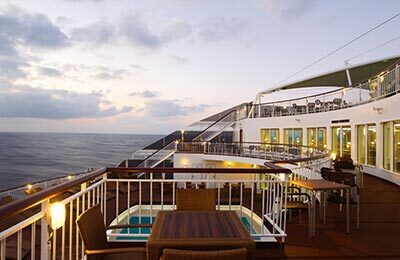 As you would expect from such a modern fleet of vessels you will find all the usual amenities on board ship including bars and restaurants. Any journey with Naviera Armas is bound to be a comfortable and relaxing experience. How long before departure should I arrive for Naviera Armas? Please note: Check-in is at least 30 minutes prior to departure for Foot Passengers, and 60 minutes prior to departure for all other passengers. A pleasant journey but quite expensive for such a short trip. More outside deck space with seating would have made the journey more enjoyable. Some Gomeran speciality snacks in the cafe would have been good. Disappointing check-in, a bit overpriced journey. Misleading departure place from Las Palmas port! Ticket indicates Plaza Mr. Jolly and instead - it is Nelson Mandela dock which is 5 kilometers away! Absolute nightmare on foot with a baggage. No direct phone contact for customer support and assistance. Had to browse random sites and run around the port - got lucky to be 3 hours before the departure. Could not leave the Las Palmas otherwise with such unexpected check in problems. A bit overpriced as well in my personal opinion. Price is the same with or without a vehicle. Excellent journey. No fuss and value for money.